Alan was one of the region’s top juniors, who went to Australia and came back a tennis coach. You know his pupils – they all have great forehands! Alan is also responsible for U10 players and our nationally acclaimed ‘Aspirantes’ programme, when not stringing rackets. Alex came through our junior ranks; playing a very impressive game, he also has a passion for disability tennis and works at local special needs schools as well as individual and group sessions at Halton across the entire disability spectrum. 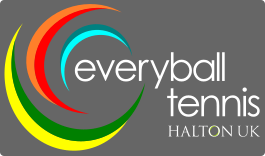 Camilla has been a member of Halton Tennis Club for more than 18 years. Having taught at a local pre-school for 12 years, she coaches in the Mini Tennis programme at Halton as a Level 2 Coach and is the Mini Tennis Club Manager. She is also the Club's Press Officer and helps with Club administration. Ed started playing tennis at 14 and his love for the game developed very quickly. He relishes the competition and all the hard work and his passion drives him to learn more and more as a player and now, as a coach. Ed is a home=grown player - he learned and trained as a player at Halton in the Everyball programme and spent some time on the road competing. He now works at Halton as a travelling coach to players at all levels - county, national and international. Chris joins our team from The Wimbledon Club, SW19 just across from the All England! He has a real passion for working with players of all levels that want to perform to the best of their ability. He joins our team with a diverse coaching background. He began his coaching career as a 21 year old as the Head Coach of his local tennis club where he began to inspire a significant increase in junior coaching, developing a schools outreach program and an adult coaching program. I’ve been coaching for 7 years, working with all ages and abilities. From toddlers, once-a-weekers (people using the game to keep fit, to team players and every colour ball and junior players), performance players competing at ITF and brit tours. I am also currently the under-14 girls county coach for Bucks and have been doing this role for the 3 years.